It's not just a house. It's their future. The building will be four stories high: the first two floors serving as the orphanage, and the upper floors as apartments for rent which will generate income to support El Shadai. Learn more on our Current Projects page. 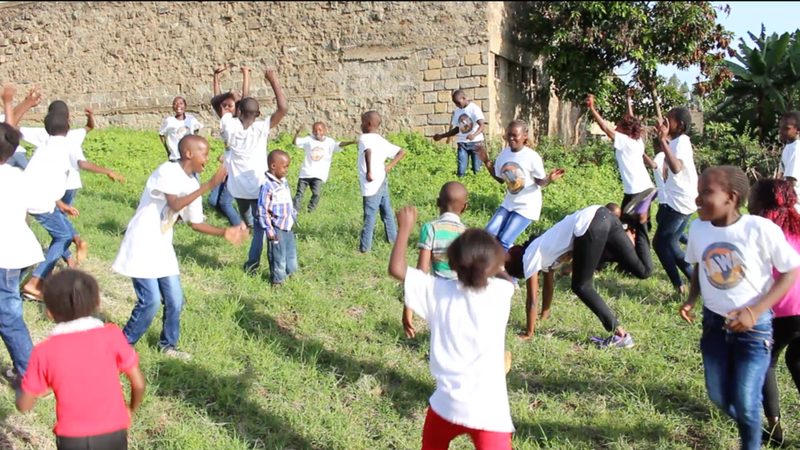 Cara brought the children to the new plot of land to announce, "This is where we will build your new home!" Before we could start building, we had to fence the property. We installed a secure gate, which will be painted and installed as the main gate of the house when construction is completed. 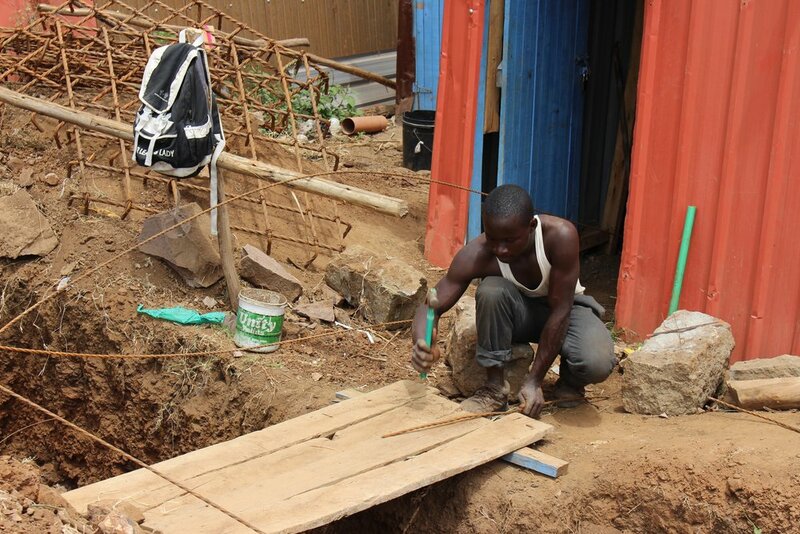 Using recycled materials from our classroom project in 2014, a small building was constructed to house construction materials. 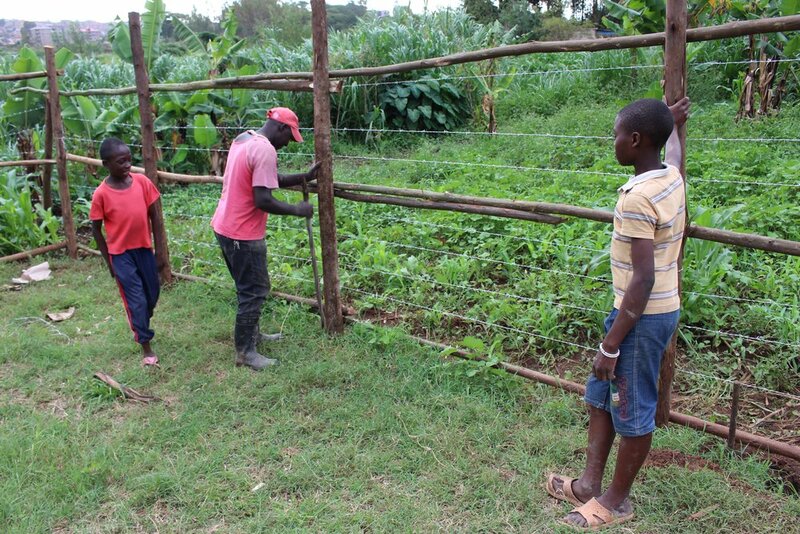 The director's wife, Kezia, started a shamba (garden) to grow fresh greens for the children at El Shadai. Of course, she made Cara get her hands dirty, as well! 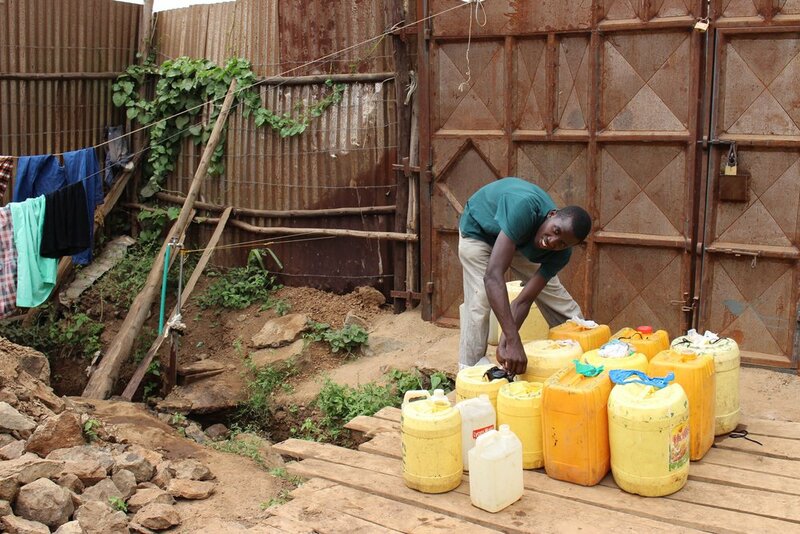 We installed pipes connecting water which flows 6 days a week, enabling them to fetch water as needed and wash their clothes at the new site. 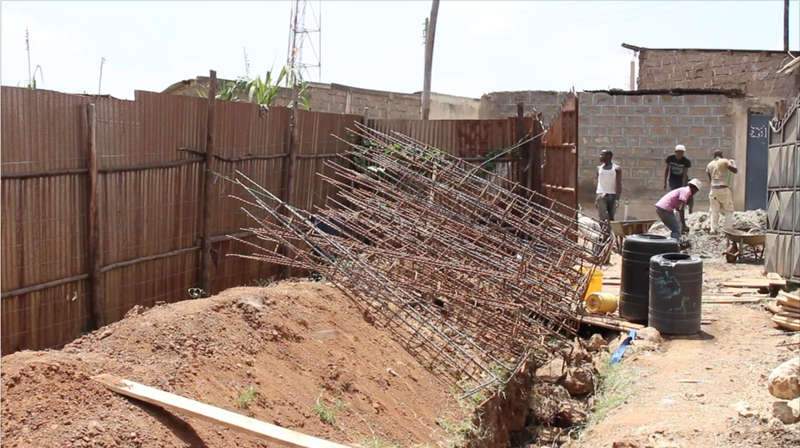 Local workers began digging trenches where the foundation would be laid for the multi-story building. Irons were prepared for the foundation columns to be built. 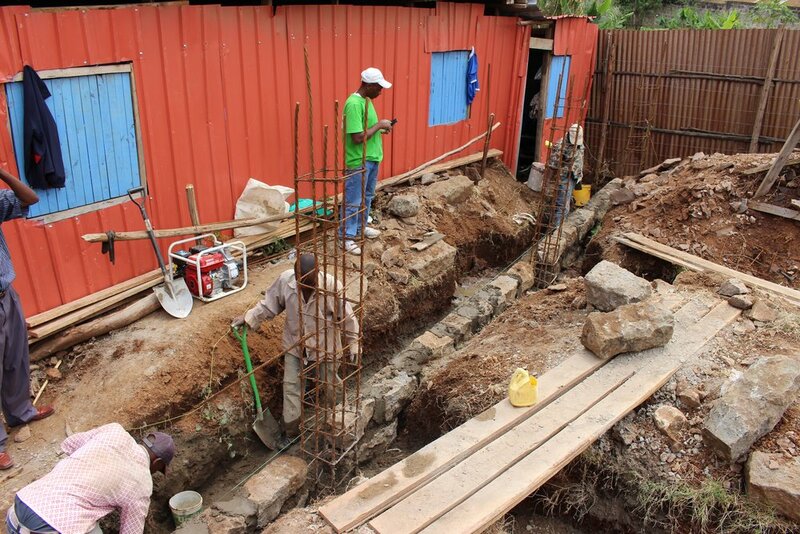 Workers began building columns for the foundation. 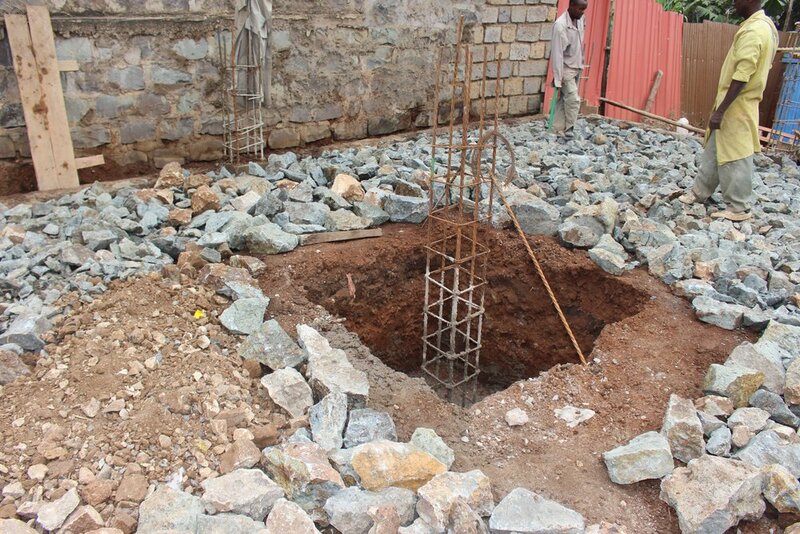 Stones were laid for the foundation of the basement. Each stone laid for the foundation was hand carried and cemented into place. The remaining space was filled in around the foundation walls and the surface was prepared for the basement floor. Concrete was poured for the basement floor. The basement walls start going up! Foundation walls were laid for the upper half of the plot. Basement walls and columns were completed on the bottom half of the plot. The space in the front half of the basement was filled in with dirt/rocks. Preparations for pouring the concrete for the roof of the basement and base of the ground floor. Irons were laid in preparation to cement the basement ceiling/ground floor. Preparing the steps to the basement for cementing. A large group of workers laid the concrete for the ground floor! Some men work throughout the day loading buckets of sand, stones, and water into the cement mixer. Others go back and forth with wheelbarrows of cement to fill the floor. The finished product! The basement is nearly finished. Doors and windows were installed for the basement. The basement rooms were plastered. 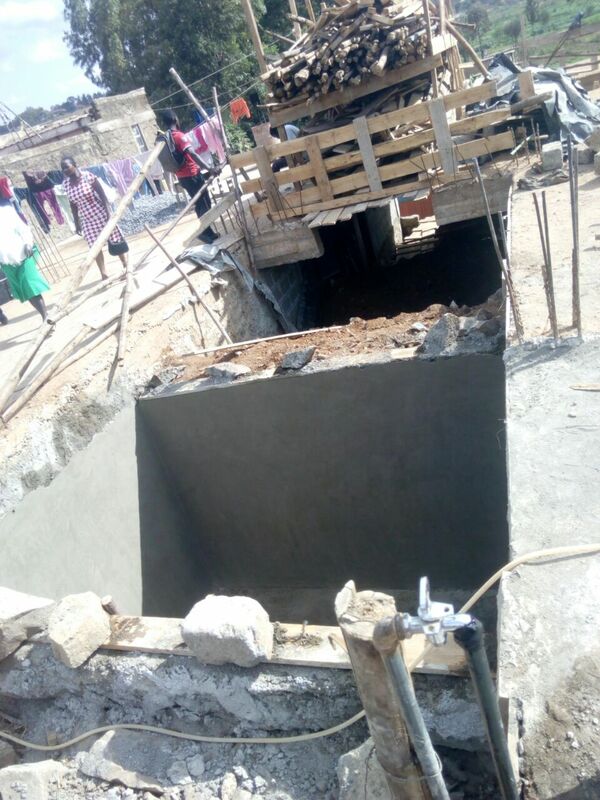 Work was started on the septic tank for the building. A room was built to store a 5,000 Liter water tank in the basement. 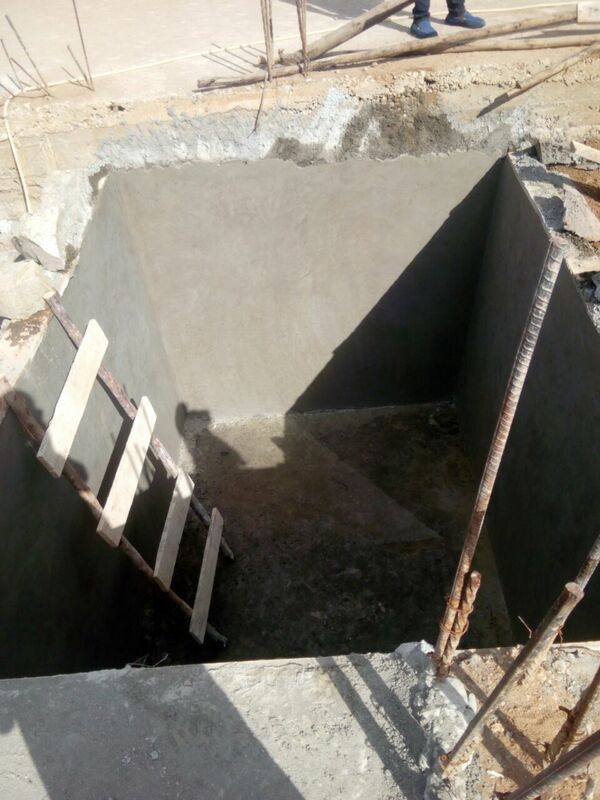 A view of the storage room for the water tank. This ramp will be used to bring wheelbarrows of food and supplies to the basement storage rooms. Irons were laid and prepared to concrete the remaining space on the ground floor, as well as the new ramp, and the basement floor covering the septic. The remaining space on the ground floor was cemented, as well as the new ramp, and the basement floor covering the septic. The speed of our construction progress will be directly related to how quickly we raise funds throughout this year. With a bag of cement costing only $7.50, there is no donation too small!